Scott Couper contends that Nobel Peace Prize Laureate Albert Luthuli (1897-1967), president general of the African National Congress of South Africa (ANC) from 1952 to his death in 1967, had never consented to abandon his commitment to non-violence in favour of embarking on the armed struggle to overthrow and replace the apartheid-regime with a democratic alternative. Couper sets out to give a detailed biographical outline highlighting aspects of Luthuli’s upbringing and socialization in various confessional, professional and political networks and contexts revolving especially around the mission-reserve Groutville near Stanger (today: KwaDukuza) to substantiate his controversial and yet unquestionably plausible view. The wording of the title and the condensed and instantly confronting “Introduction” (1) that seems to be already concluding the debate supposed to be initiated, create the impression that the author is unconsciously doing exactly what he is reprimanding his counterparts to be engaged in, namely using someone’s integrity to solicit receptiveness towards and support for a particular option or issue. “Bound by Faith”: Could those have been Luthuli’s own words at any stage in the controversy at hand? Whose words are they actually and what do they seek to achieve? Scott Couper uses consequently and almost exclusively the term “violence” to summarily refer to measures resorted to in trying to resist, protest against and counteract the atrocities administered by the state against the people. In this “work of fine scholarship and meticulous research” (Paddy Kearney) – a truly “enjoyable and readable text for the lay and professional person interested in South Africa’s history” (vii) – Albert Luthuli emerges and gains profile initially as self-confident offspring of his forebears and advances to becoming a pupil, an adherent and admirer of “white liberal male lay Christian educators” (33), “missioners” and colonists mainly from the Congregational tradition within the confessional constellation in Rhodesia (today: Zimbabwe) and Natal (today: KwaZulu-Natal) of Luthuli’s early childhood and youth between 1897 and 1917. The young adult Luthuli, teacher, husband, father and lay-preacher (1928-1935) remains rooted in the emerging post-missionary elite consisting of relatives, colleagues and admired personalities like John Langalibalele Dube (1871-1946), Pixley Isaka kaSeme (1881-1951), Allison Wessels George Champion (1893-1975), Charles Mpanza (1895-1960) and Dr Mordeciah Gumede (1917-1993), contests and wins elections as “chief” of the “AbaseMakholweni” in the mission-reserve Groutville in 1935 – a function occasionally referred to by himself as “an ‘appointed boss-boy’” (41) – , succeeds John Dube in the “Native Representative Council/NRC” – a tool in the hands of the apartheid-regime – in 1937, resigns and refuses to participate in that body right from the first meeting he attends, leading to it being “eventually scrapped” in 1951. The reader gains insight into the foundations and premises of the confessional tradition of “Congregationalism” (9) and learns to appreciate how Chief Albert Luthuli was, indeed, part of and lived in that tradition. The author relates on the strategic move by the youth league of the African National Congress (ANCYL) – formed in 1944, supported among others by Nelson Mandela, Walter Sisulu and Masabalala ‘Bonnie’ Yengwa (1923-1987) – to win Chief Albert Luthuli to stand for election as president of the Natal ANC on 30 May 1951 which was the starting point of what was to become the most eventful phase in Luthuli’s life and South Africa’s up to Luthuli’s death in 1967. 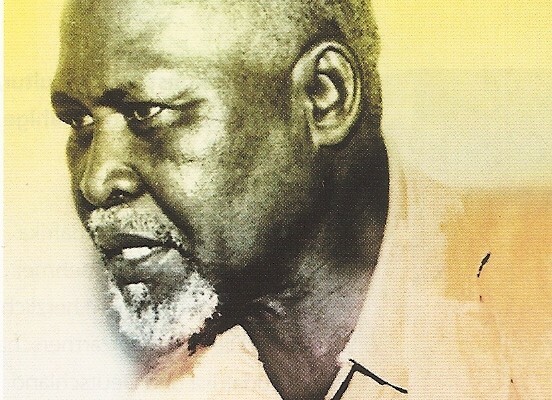 As president general of the ANC (1952-1967) in the succession of Dr James Moroka (1891-1985) Chief Albert Luthuli chairs meetings, addresses mass-meetings and conducts consultations faced with planning, evaluating and mediating. The apartheid-regime had demoted him in November 1952 from the function of a “chief” having failed to force him to renounce his ANC membership and engagement. The Defiance Campaign (June 1952), the call for non-violent Freedom Volunteers (March 1954), the Congress of the People at Kliptown (1955) and subsequent conferences in Bloemfontein and in Orlando (1956) around the drafting and the adoption of the “Freedom Charter”, the Treason Trial (1956-1961), the Sharpeville Massacre (1961) and the Rivonia Trial (1963-1964) are some of the epochal moments in the history of the liberation struggle of which Albert Luthuli was more than just an active member and backbone. Scott Couper successfully draws the attention of the reader to questions and issues that occupied Albert Luthuli’s mind and repeatedly strained and threatened his health, safety, esteem and integrity in those years, thus enabling the reader to gain a closer look at the president general of the ANC in the midst of the controversies surrounding events and critical moments in South Africa between 1952 and 1967 ranging from ideological differences and power struggles within the ANC and its partner-organisations up to the never-ending repressions (intimidation, banning orders, detention and imprisonment) and intensifying subjugation and threatening annihilation by the apartheid-regime. 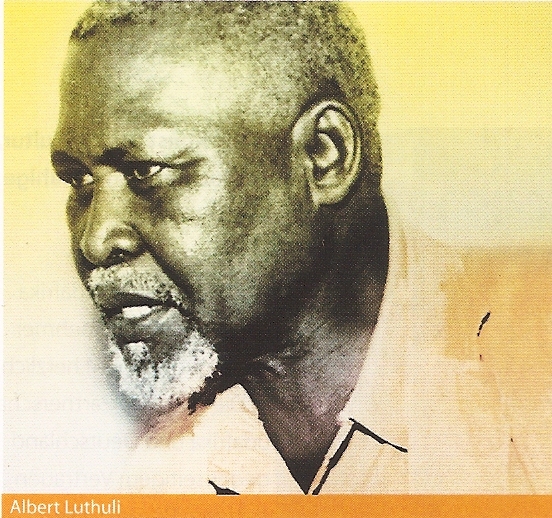 Luthuli’s publications “The Road to Freedom is Via the Cross” (1952), “Let My People Go” (1962) and Luthuli’s statement in the Rivonia Trial (1964) – “… no one can blame brave just men for seeking justice by the use of violent methods” – are cited and brought to mind by Scott Couper in a manner that enables the reader to follow, identify and recognize Albert Luthuli’s unshakable stand against oppression and genuine commitment to a non-racial constitutional democracy. The lonely years of the capable leader and respected strategist and the obvious controversies within “the congresses” during the Rivonia Trial up to Luthuli’s death in 1967 are brought to light in a detailed and yet impressive manner. Scott Couper presents a diligent and comprehensive account on Albert Luthuli and a convincingly argued and conclusively supported standpoint in the complex issue on “violent or non-violent resistance, protest and fight for liberation”. The reader – at the end of this informative tour through a very eventful phase of South Africa’s recent history – has adequate insight to be able to contribute to the ongoing discussion and present her or his perception. Couper: “Despite their political differences in July 1961, Mandela never forgot the lessons Luthuli taught. Yet, Mandela and Luthuli were not the same.” Kunjalo! (Exactly!). Scott Couper serves the United Congregational Church of Southern Africa (UCCSA) as the Development Manager of the Inanda Seminary in KwaZulu-Natal through the auspices of Global Ministries, United Church of Christ and Christian Church (Disciples of Christ), USA.